DOE Sport North have offered their support for the fast growing sport of padel with the launch of a new padel league for club teams. 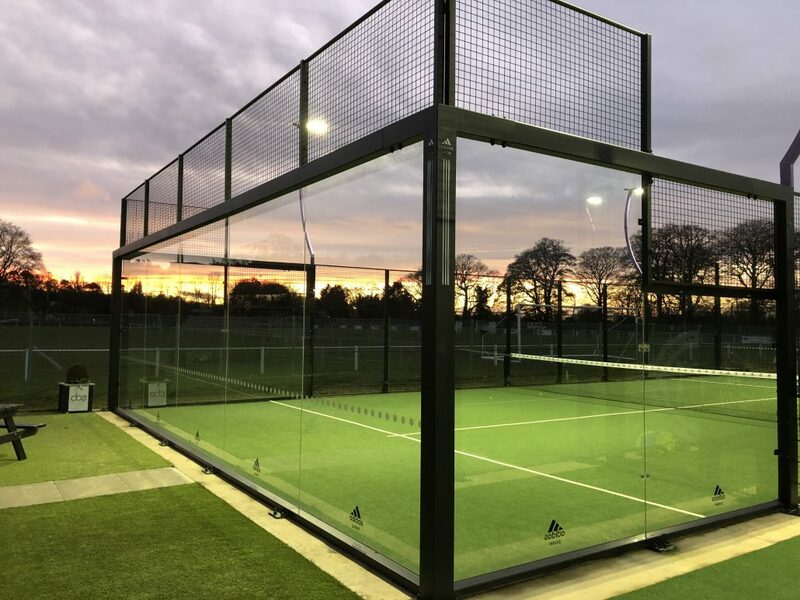 The league is aimed at tennis and squash players to give them the opportunity to try padel at one of Scotland’s best facilities, Thistle Padel and Tennis Club. Padel is described as tennis with walls or squash over a net and is proving a great success across Europe. DOE, working with Padel Tech the UK’s leading padel court company, carried out specialist groundworks and courts at Thistle in Edinburgh which will now see tennis clubs trying padel matches this Spring. With the support of East of Scotland LTA and Tennis Borders tennis players will swap their strings for padel bats. The organisers, Padel Scotland, thanked DOE Sport North for their support which will provide new match balls throughout the season and allow each team to have a free trial session to learn the rules and translate their tennis skills to padel.